We accept no responsibility for the quality, accuracy or availability of information accessed through the internet. We cannot guarantee access to the internet will always be available; nor can we guarantee access speed or the ability to access specific sites. At all times access to public internet terminals is subject to availability and at the discretion of the volunteers. We reserve the right to withdraw the use of this service at our sole discretion. You will respect the privacy and sensibilities of other library users and of our volunteers and will not cause noise or disruption or display text or graphics that may be resonably viewed as obscene or offensive. No data transmissions over the internet can be guaranteed to be totally secure. PHCL does not accept responsibility for any loss of work, or loss or damage to USB devices, etc. We cannot be held responsible for the privacy or security of your activities. There are risks involved in giving personal details to web sites and buying good or services over the internet and therefore you do so at your own risk. 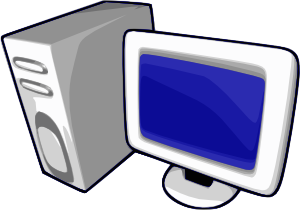 PHCL assumes no liability for any loss, damage or injury, direct or indirect, suffered as a result of using these computer resources. For your security it is essential to close down all applications, sign out of your email and log off at the end of your session. Transmission, viewing, storing or emailing of any material in violation of laws is strictly prohibited. It is the role of parents and carers to monitor their children's use of the internet.